Today's recipe is going to be a twist on a childhood favorite of mine. Growing up, my best friends Mom would make these AMAZING grits! They were so rich, creamy and delicious. The only down side was that they were not vegan. They had cheese and heavy cream in it, many times it was served with eggs and shrimp. So this definitely did not fit into my new lifestyle. After a few months, I was really craving these extra special grits. So I decided to play around with this recipe. I tried replacing all of the ingredients with the vegan alternatives, and it just didn't do it for me. At that point, I knew that I was to have to recreate this recipe. I hope you guys love this as much as me and my family do! I know what I'm making for dinner! Great idea!! Thank you! Great meal for a dinner,thank you for sharing. Thank you for this. I'm in the process of slowly transitioning into a vegan diet and this will come in handy! 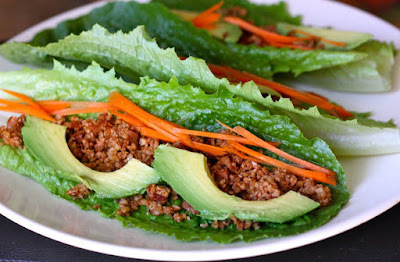 This sounds so perfect for dinner tonight, never thought of making that! We don't really have grits over in the UK, but I really want to try them now! I'm echoing Sus - I really think grits need to make it across the pond! i will tried it tonight, it looks both yummy and less colouries recipe.Also i will recomment it to my friends. This one recipe is the perfect and I believe that I will be able to make things perfect for my family and friends. Thanks for sharing. 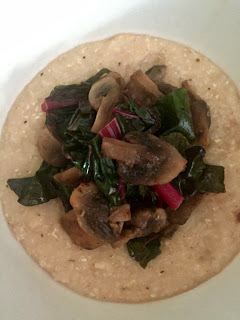 Mushrooms, chard, and grits, three of my favorite things. This sounds delicious! OMG YES! I live in South Carolina so am definitely a grits girl! 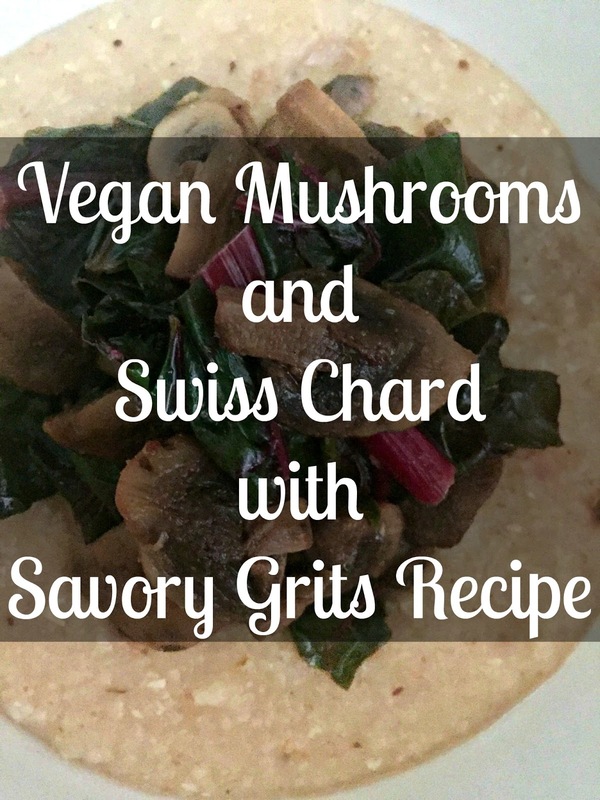 ;) Love this combo with mushrooms and chard - perfect!! Sounds so good. 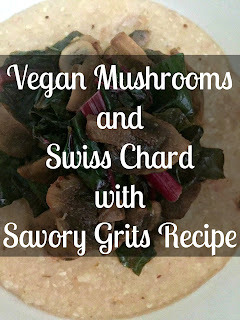 I love the combo of chard & mushrooms too - sounds like it works a treat here. Oh this sounds so delicious! Perfect food for my family dinner.